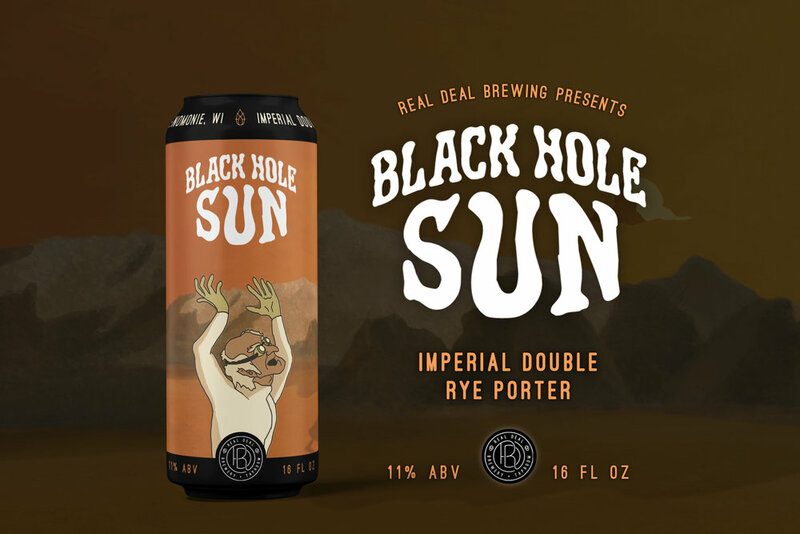 Real Deal Brewing's Black Hole Sun is a black, smokey Imperial Porter. This rich full bodied rye is tipped off with a silky chocolate crown. The dark roasted flavors host the character of a wood-fired malt dripping in hops. At an 11% alcohol content, this drink has a bold, captivating effect after just one can. In an attempt to resurrect the nostalgic spookiness of old Scooby Doo episodes, I studied the aesthetic thoroughly through hours of bingeing the early episodes from the late sixties and seventies. After watching the cartoons, I did research on the process of creating the animations. This knowledge allowed me to mimic their steps to more closely replicate that old Scooby style. The studio of Hanna-Barbera (responsible for Scooby Doo, Tom & Jerry, Jonny Quest, The Flintstones, and many more) had a specific style for each cartoon, but the process to create them remained the same. The backgrounds were often painted and usually much more detailed compared to figures and moving objects. To replicate this look, I digitally painted the background, designating appropriate values and textures, but staying away from too much detail. The lack of detail would give my composition depth after adding in the cartoons. In order to accurately recreate that old vintage cartoon aesthetic, I duplicated the black outline, made it white, lowered the opacity and offset them to the right by just a few pixels. This technique was to mimic the original white sketch lines bleeding out under the black strokes. This imperfection was a characteristic of older cartoons because everything was done physically frame by frame.